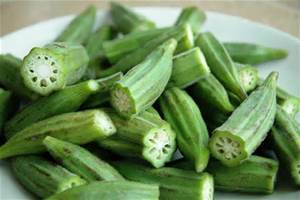 One of the favorite backyard vegetable you can grow is the very nutritional Okra or “lady’s finger. It is easy to plant only if you are in a tropical or warm place. The elongated, green, pod producing vegetable is wildly used since the ancient times as food and for source of nutrients. It was first discovered in the regions of North Africa and the Middle East. Until now, it is still a favorite vegetable and mostly grown in the Asia. Okra is an edible pod producing tropical vegetable, usually fresh when the vegetable is green, tender at the immature stage of its growth. Okra grows 3 to 6 feet tall. This vegetable is high in fiber that is usually present in many nutritional diet recipes. And it is one of the many important vegetable a diabetic patient must take. 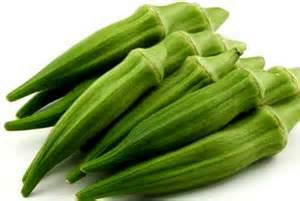 Okra is a high in fiber vegetable. It helps in the digestion of food, controling your blood sugar. Best for people with diabetes. Vitamin C help with respiratory issues like asthma. Vitamin C is also important for fetal development. Vitamin C helps keep the skin looking young and vibrant. It helps in the growth and repair of bodily tissues that affects collagen formation and skin pigmentation. It’s a very low calorie vegetable and has no cholesterol content. Okra is also rich in B-complex vitamins (niacin, pyridoxine, thiamin, pantothenic acid) help the body to produce energy and form red blood cells. The pods found in okra help ease constipation condition. The pods contain vitamin A for maintaining mucus membranes and skin healthy. Okra also has beta-carotene, xanthin and lutein which are anti-oxidants and also help in protecting your lungs from diseases and oral cavity cancers. The pods contain vitamin K which is a one of the factors to prevent blood clotting and to strengthen your bones. The pods are also rich in iron, calcium, manganese and magnesium. The vitamin B can also be found in okra that helps prevent birth defects like spina bifida and helps the baby to grow sufficiently. 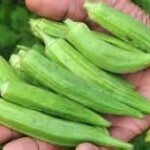 Daily intake of okra can reduce damage in kidney. Okra produces good bacteria that are probiotics. It also helps in preventing sunstrokes. Okra leaves and its roots are often used as dressing for wounds. If you wish to include okra in your backyard farming, okra is very easy to maintain and plant that you can even grow it in a container. Dig an inch deep for the seeds and a distance of approximately 6 inches. After planting the seeds, be sure to water it without puddles forming. If you see the seeds breaking the surface, space them out for approximately a foot apart, and water them gently. Now you will just have to wait for the okra to grow and if it reaches the minimum height of 3 inches, the vegetable is now safe for picking. It grows best in a manure-rich soil and approximately 2 months to harvest.